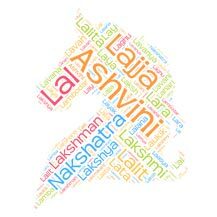 This is a Sanskrit word can be used for a girl name, meaning of this word is intelligent. Tejaswini means one who spreads illumination. It is derived .. Boy name Tavya तव्य derived from Sanskrit word tavya means S..
Chinmay derived from Sanskrit word cinmay, which literally m..
Agnika literally means 'belonging to the preparation of the ..
Sanskrit name Shalini literally means with a fixed abode. Sh..
Means "beauty, grace, light, lustre, brilliance" in Sanskrit..